ZIMBABWE – Zambia coach George ‘Chicken’ Lwandamina says the Chipolopolo will be ready and competitive ahead of the African Nations Championship (CHAN) finals opener against Zimbabwe next Tuesday but feels there is need to work on turning chances into goals. Lwandamina watched Wednesday as his side created about eight clear scoring chances in the barren draw against South African side Mamelodi Sundowns as the Chipolopolo wrapped up their final phase of preparations. The Chipolopolo left for Rwanda on Thursday with Lwandamina happy with team progression so far and declared the squad near ready for the CHAN that kicks off on Saturday. Zimbabwe, who named their 23-man squad on Wednesday, leave for Rwanda on Friday. “We are creating chances and in the first half alone, we had eight clear chances to score, more than we created in one-half alone in our 2-1 win against Angola. “Now we have to work at translating those chances into goals. 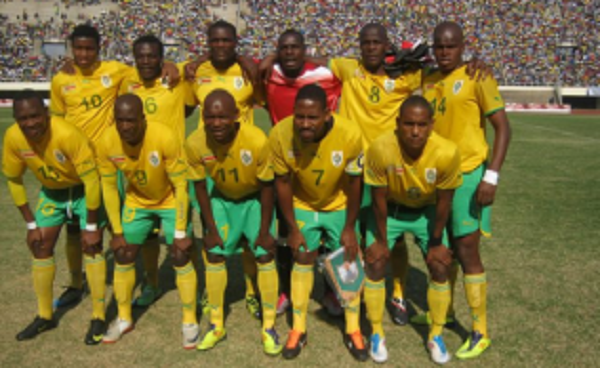 We are solid all round and I am sure we will be ready and very competitive,” Lwandamina said. The Chipolopolo face neighbours Zimbabwe on Tuesday at 15:00 hours in a Group D opening match before playing Uganda, they end the campaign for a quarter-final place against Mali. Turning to the opening match against Zimbabwe, Lwandamina said he expects a tough match as both nations play basically the same type of football. “We play basically the same type of football, so I am expecting a tough opening match, but like I said, we need to turn chances into goals in all the matches that we play,” he said. The Zambians will be powered by the experienced duo of former skipper and 2012 Africa Cup of Nations winning captain Christopher Katongo and former Orlando Pirates star Isaac Chansa. Katongo has been playing in China and South Africa but returned home to join his army side Green Buffaloes, making him eligible for Chan. The tournament, organised by the African Football Confederation (CAF), is held every two years. It is reserved for players who play their football in national leagues and alternates with the higher profile Africa Cup of Nations tournament for which players based overseas are also eligible. Ivory Coast, Sudan and South Africa have played host in previous tournaments since 2009. According to the New Times newspaper, the Rwandan government has spent 16 billion Rwandan francs ($21.4 million) on infrastructure and organisational costs for CHAN 2016, the fourth edition of the competition since 2009. The 16 competing nations are divided into four groups: Group A is composed of Gabon, Ivory Coast, Morocco and Rwanda; Angola, Cameroon, the Democratic Republic of Congo and Ethiopia make up Group B; Group C contains Guinea, Niger, Nigeria and Tunisia and Group D is made up of Mali, Uganda, Zambia and Zimbabwe. In the opening match on Saturday, Rwanda’s Amavubi, meaning “Wasps” in the Kinyarwanda language, play the Ivory Coast’s Elephants.